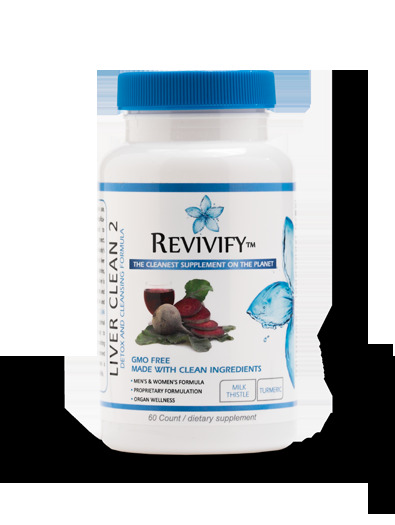 LIVER CLEAN... Liver Cleanse Step 2 is an easy-to use, two-part cleansing and detoxification program formulated to simultaneously support, protect, stimulate and assist with the body’s natural detoxification of the liver with natural minerals, vitamins, herbs and amino acids. The liver is the largest organ in the body and responsible for detoxification and internal cleansing. LIVER CLEAN will build a foundation for optimal health allowing your body to process external toxins, promoting holistic wellness and improved health. Cleaning vital organs is essential to living a Revivified life.